to display throughout your site and share on social media. Search for your company's hashtags to discover great photos uploaded by your loyal customers. 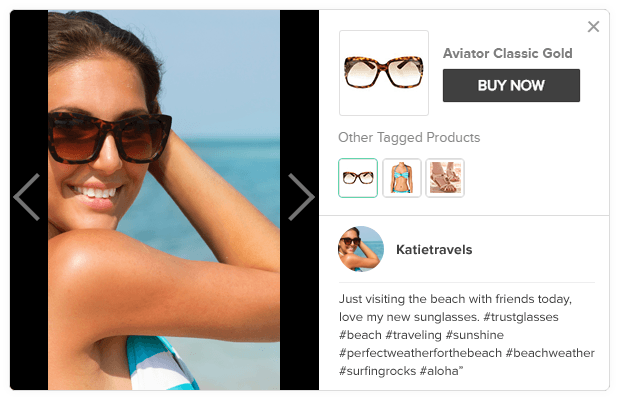 Pull these photos from Instagram and display them throughout your site. 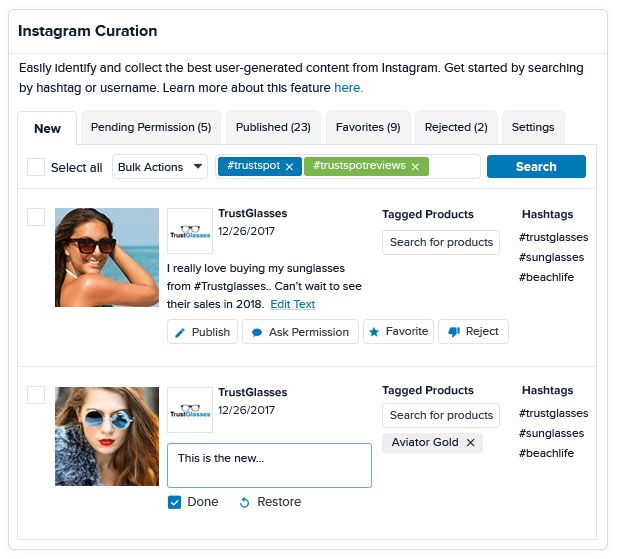 Easily tag products to photos pulled in from Instagram, so when customer's click on a photo they will see all of the great products associated with that photo, and where to buy them. 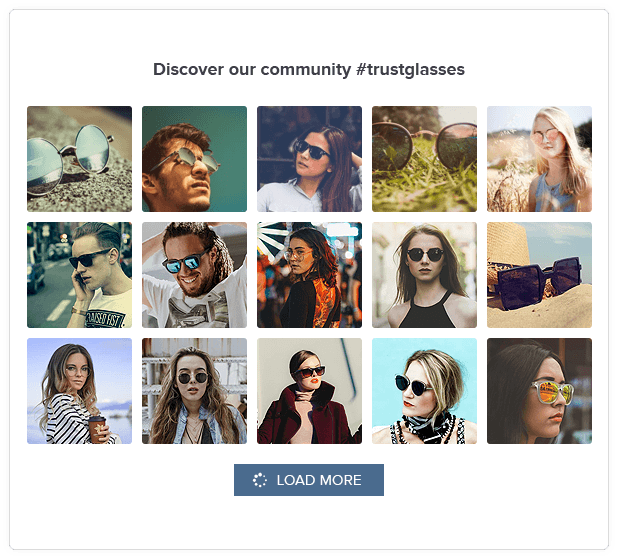 Create a dedicated page on your site filled with all of your great customer and curated Instagram photos.